My first born started first grade this March at a Korean public school. I had many fears and worries about him starting school. 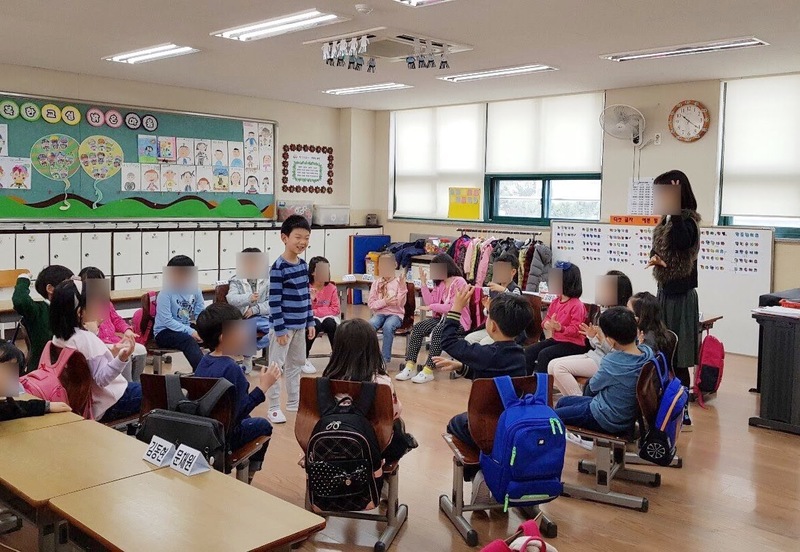 I believe for many expats families living in Seoul who are not sponsored by a large company to send their kids to international schools, education is one of the top concerns as we grow our family here. 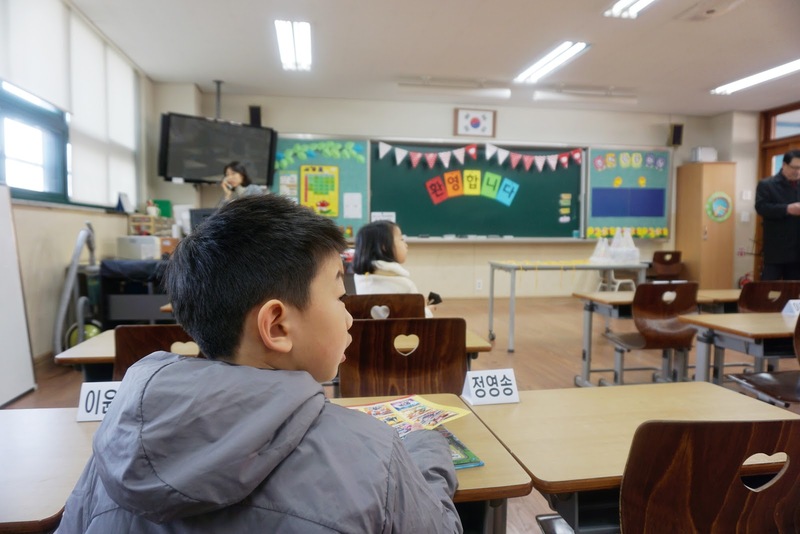 There are three main schooling options for expats in Seoul: international schools that cost $20-$40k per child annually, Korean Public Schools, and homeschooling. After going through these main options, we decided on Korean public school and I wanted to share my thought process and my experiences thus far. I personally didn't have an education philosophy before. I believe that's why it was so hard for me to make a decision as I considered the three options. When it all comes down to it, we couldn't afford international schools, and I know my own limits and I didn't feel confident enough to homeschool. I think with Korean schools, some of my fears came from my own fears of the unknown, and the portrayal of the Korean public education system with gruesome studying requirements and fostering competition that produces unhappy and stressed out students. But since that was our only real option, we took a leap of faith and enrolled our child to a Korean public school and I am glad to share we are so happy with our decision. If you are thinking about your kids education as you continue to live and grow your family in Korea, I would highly recommend public schools and here are some of the reasons why. My first grade son leaves all his text books at school, doesn't have any homework, and school ends at 12:50 pm Mondays and Fridays, and 1:50 pm Tuesday to Thursday. So he is home by 1-2 pm everyday. I just had a teacher/parent conference yesterday and she told me there is NO HOMEWORK OR TESTING. 😲 She said she will probably start drawing journals for homework starting in second semester, but that would be the extent of homework. 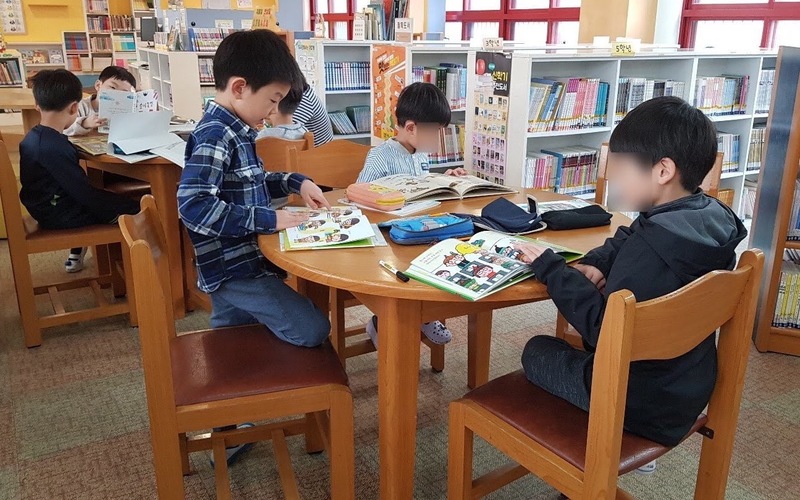 They have math and language (Korean) everyday, and science, social studies, history, safety are all combined into one subject everyday, gym twice a week, and weekly library visits and then he comes home after lunch. That's it! And if you are a working mom, no worries. They have paid after school programs and childcare until later in the evening. In the classroom, they play lots of games and focus on making school enjoyable and a safe place to learn. These after school programs are paid programs so they are 100% optional. You can take as many as you like or you don't have to do any. Every school might offer different programs, but at our school they offer, cooking, musical, Go and chess, experimental science, robot building, violin, flute, soccer, gym, Chinese, Rubik cube, art, arts&crafts etc... My son is taking cooking class on Mondays, and Go and chess on Tuesdays and he loves them. 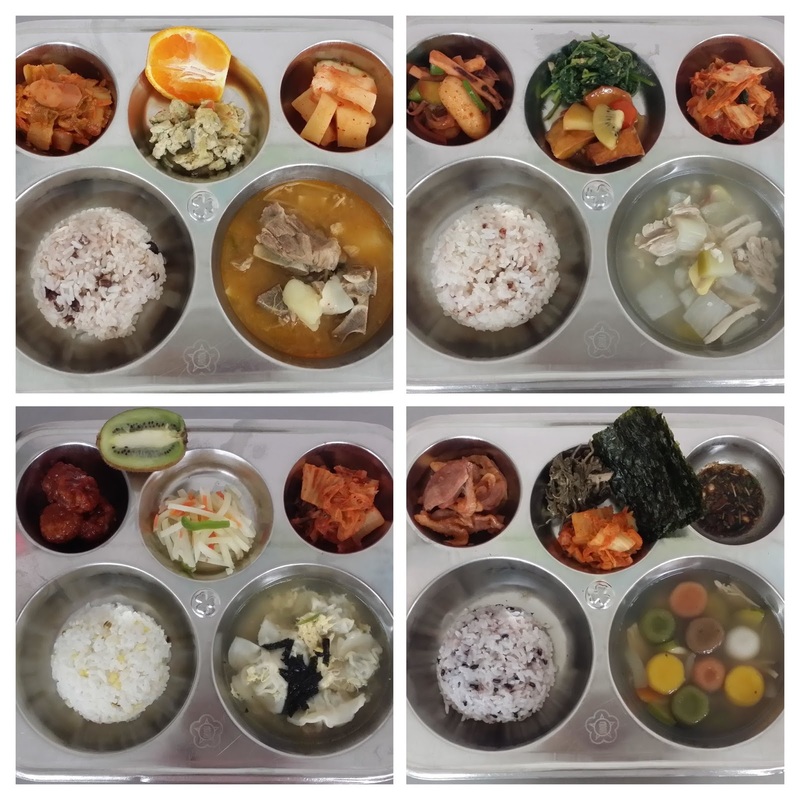 Monthly lunch fees and two after school programs cost us about 147,000 won ($136.70) per month. And the quality of the food and after school programs are great. I would rather have my kids eat Korean school food over pizza, chicken nuggets and fries any day. Since they are studying in Korean, they are forced to learn a second language. If you are worried that your child's Korean is not good enough, no worries because kids learn fast. Also, they teach the basics of the Korean alphabet and they will not be much behind with other school work. Since they are speaking English at home, I believe they have the best of both worlds. Maybe my kids have been extremely lucky, but all of their teachers that they had were amazing at Korean schools. I really feel that they all sincerely care for my kids. At my first teacher/parent conference with Jacob's teacher, I really appreciated her asking me lot of questions about our family so that she could understand Jacob more. She also gave me not only her classroom number, but her personal number telling me that I could contact her with any questions at any time. A few times I had to contact her and seeing her with the kids, I could tell she is patient, gentle, but also firm with the kids. She seems very soft spoken, but the students know who is the boss in the classroom. No matter where the kids get their education, either international school, public school, or homeschooling, I believe the role of the teacher matters the most. Therefore, I am so grateful that all the teachers my kids ever had were amazing teachers that had only positive influences on them. Most Korean elementary schools are located within walking distance from your neighborhood. Therefore, school buses are not necessary here. All the kids walk to school. I find Korea to be very safe. Kids here walk to school, hakwons, friend's house by themselves and it's not uncommon to see kids even taking public transportation to go to places on their own here. I kind of like that they are free and independent. At our school, they do provide walking school bus, which is a parent that meets students at a designated location (usually at the entrance of an apartment) to walk to school and back together, so Jacob just needs to walk to the walking school bus stop on his own. He also walks to piano lesson and taekwondo academy by himself and goes to the market to buy himself a snack, which are all located within our apartment complex. This might sound weird to some parents, but I like that Jacob gets an opportunity to do something on his own without our supervision. I guess you can let your kids go out on their own even if they go to international schools or homeschooling, but you have to be more intentional about it as a parent, whereas if they attend Korean public school, it's more natural since all of them walk to school and back home everyday. I hope this encourages you at least to check out your local Korean public school as one of the options if you have children who will be starting school soon. I know some of your concerns and worries since I went through the same thing, but I recommend at least talking to other parents and visit the schools before you make your decision. I found that kids are more resilient than we give them credit for and if I am honest, I know most of my concerns and worries were about me and not so much about Jacob. Do not feel bad or guilty if sending your child to a Korean public school is the only option for your family. As for us, having no option was a blessing in the disguise. 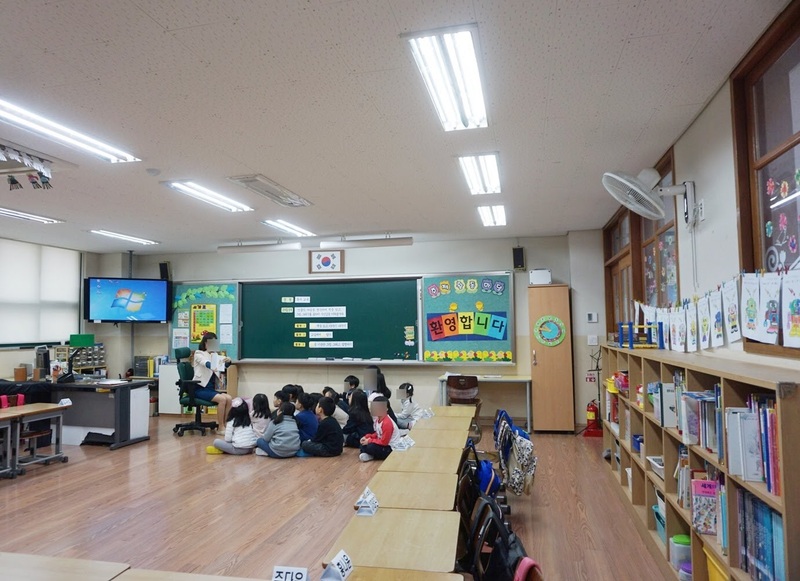 Korean public schools are not perfect, but they are much better than most expats perceive. They have great facilities, qualified and caring teachers, academically high level students, and very safe. Our experience only applies to daycare and elementary schools since our kids are still young. Once they reach middle school and high school, the academic priority picks up and I do have concerns about the learning culture as they get older. But I also have hope that the learning culture I've seen in elementary schools can slowly creep into secondary school as well. Do you have to be a resident to enroll your child in public school? Yes, I believe you need a visa to enroll to a public school here.